Does your family love vegetables? 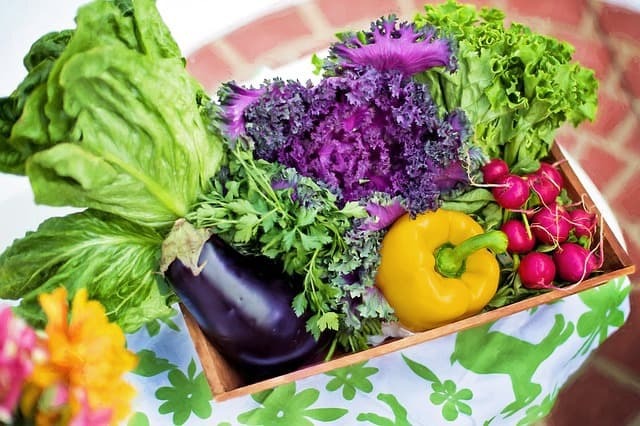 You’re probably a veggie lover yourself and would like to start growing your own food. As a beginner, you would like to know what the easiest vegetables to grow are. With so many kinds of nutritious plants you can begin with, you might need a detailed guide. In this article, you will know what to plant first in your newest veggie garden. Confused about which plants to prioritize? Don’t get to stress yourself too much. You just need to know more about fast-growing vegetables. Here are some of the easiest vegetables to grow, and some tips on planting and taking care of them. Tomatoes are among the easiest vegetables to grow. You can sow them in pots, bags, or even hanging baskets. With enough exposure to sunshine and water, you can efficiently produce a juicy crop. 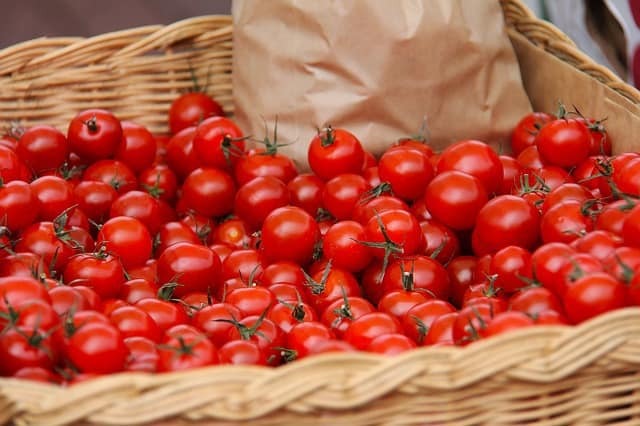 Tomatoes can be the easiest vegetables to grow. They're ideal for beginners in gardening. Tomato plants are so quick to grow that even kids would love to watch their progress daily. In growing tomatoes, you can start by planting either seeds or transplants. If you do begin with seeds, it’s better to do it indoors. Sow tomato seeds 6 to 8 weeks before the average last spring frost date. Also, choose a site with full sun for tomato plants. Make sure you’re giving them at least 6 hours of sunlight daily. Remember, they are subtropical plants. Moreover, you have to take note that tomatoes require very fertile soil. To supply their need, prepare garden beds by adding well-rotted manure. You can add as much as a full wheelbarrow load every 3 to 4 m2. Tomatoes love plenty of water, too. Encourage strong root growth by giving tomato plants lots of space, and water them thoroughly. It always helps to have a garden hose for easy watering. When growing from seeds, take note of the following tips. Look for certified organic tomato seeds. You can use take-out containers that have a depth of at least 3 inches. Just add drainage holes at the bottom. Potting mixes are often preferable over backyard soil as the latter can carry disease spores and weed seeds. You may start planting seeds indoors 6 to 8 weeks before the intended outdoor-transplant date. Give seedlings enough room to branch out. Prepare pots that are at least 4 inches in diameter. Transplant each seedling into its pot after it has grown its first set of true leaves. Finally, if you don't want to grow diseased tomatoes, be sure to check out this 10-part tomato-growing guide! Peppers are as much a cook’s favorite as tomatoes. They are also among the easiest vegetables to grow. 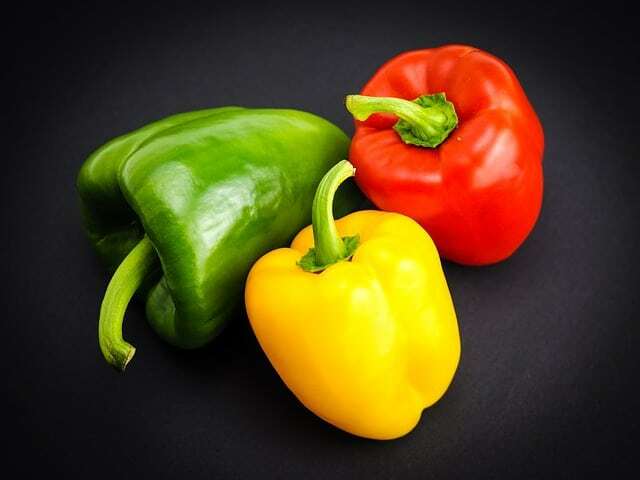 Whether it’s sweet peppers or habañeros, you will surely love to add them to your vegetable garden. Though there are a wide variety of peppers, they share a preference for a warm and long growing season. One thing lovely about peppers is that they are a breeze to grow, too, so you can readily reap your reward. Let pepper plants receive full sun and provide them a sandy loam soil containing organic matter. Provide enough space for each plant. Typically, they should be 12 to 18 inches apart, depending on the variety you have chosen to plant first. In just about 60 to 90 days, you can have mature sweet peppers. If you like spicy dishes, go for hot peppers, and in 150 days, you are going to enjoy a tasty dinner out of a fresh harvest. Peppers love water as much as tomatoes do. However, just be cautious so you will not saturate the soil. There’s a reason you’re planting them in sandy loam soil. That is to allow drainage and at the same time retain enough moisture. Adding organic matter would also be a real help when it comes to water retention. Determine your last spring frost date. Plant sweet bell pepper seeds indoors 6 to 8 weeks before that date. Plant three seeds in one pot. As seedlings develop, eliminate the weakest seedling from each pot and let the remaining two thrive to protect each other from sunscald. Allow ten days of hardening off before transplanting outdoors. Whether it’s stuffed butternut squash, spaghetti squash or squash lasagna, you just love squash. You surely are excited about preparing your next healthy squash dish. Here is one more fun fact. Squash is also among the easiest vegetables to grow! Since you want to be sure about the nutritional quality and safety of what you eat, you’d like to plant your own crops. The good news is that within only 60 days of fun gardening work, you can enjoy your first squash harvest. Work your soil out first with fertilizers and other soil amendments. Make a mound that is around 3 inches high and 18 inches wide. A heap of this size would allow good drainage for the benefit of the squash plants. 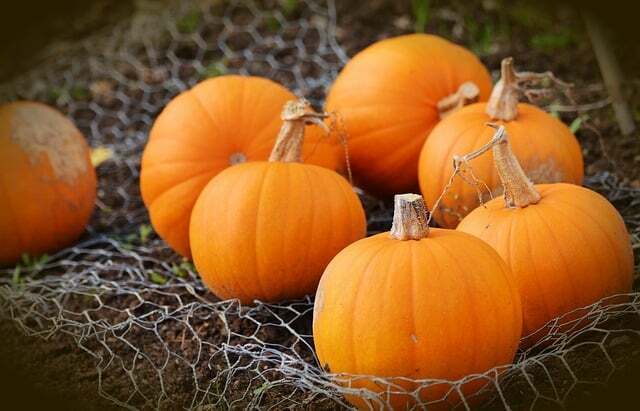 Set squash plants – two or three of them – around 4 to 6 inches apart in the mound of soil you have prepared. Each pile, on the other hand, should be spaced 3 to 4 feet apart, if you’re planting summer squash. For winter squash, the spacing between mounds should be 4 to 6 feet since they produce longer vines compared to the other varieties. Adding organic mulch would enormously help squash plants to thrive. Mulch only slightly, and just after a couple of days after planting. Lettuce is a favorite ingredient in vegetable salads. Gardening beginners also love them because they are among the easiest vegetables to grow. They proliferate, especially in the spring and fall. You can plant a small amount of lettuce at a time. In 7 to 8 weeks, you will already have successfully grown mature crops. However, you can already harvest your lettuce before that time. With leaves that are big enough and still tender and crisp, your family will soon have a healthy dinner fresh from your garden. Like peppers, you will need loose soil that drains well. It is best to enrich this soil with organic matter just a week before you sow seeds or transplant. Remember to till this soil well, too, to best prepare for the tiny lettuce seeds. Starting seeds indoors would also be a good idea if you want to harvest earlier. Start seeds 4 to 6 weeks before the last spring frost date. Harden off the seedlings for approximately one week. Safely transplant the acclimatized seedlings outside. Be sure to set the transplant between this period: two weeks before and two weeks after the last spring frost. 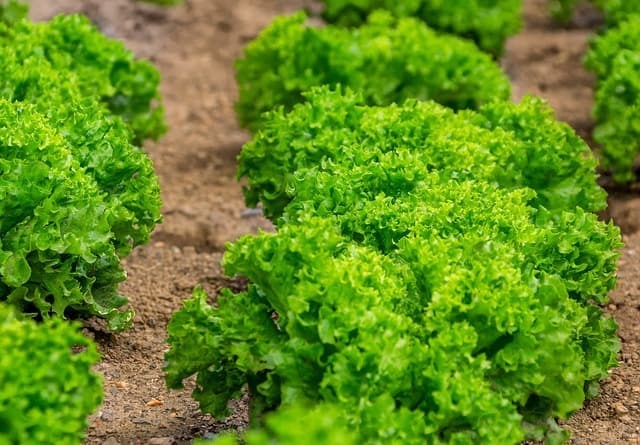 Depending on the type of lettuce you’re planting, consider adequate spacing for each. Types with firm heads need 16 inches of space each, while those with loose heads can do with 8 inches of spacing. For leaf lettuce, you can plant them 4 inches apart. You can control aphids and other pests in a natural and doubly beneficial way. You may plant rows of garlic between your lettuce. Chives will do well as barrier plants, too! There are more crops that you can quickly grow in your vegetable garden. Potatoes, carrots, radish, and corn would love to find their place in your garden, too. If you want an added boost for your gardening project, you may choose to plant what your family loves to eat the most. If you love tomatoes, peppers, squash, and lettuce, then you can prioritize their place. Remember the tips above. Then, invite your family members to work in the garden with you. They will surely be excited to do it knowing the abundant harvest that awaits them in just a few weeks! Have a happy gardening experience!